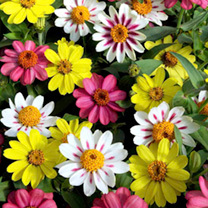 These sun-loving flowers will benefit from as much sun as you can give them, producing masses of flowers in a variety of colours. Plant them a foot apart to create a floral carpet, or try them individually in terracotta pots on the patio, they look amazing like this on a garden table. In a vase, they add interest and a burst of multicoloured summer. Try adding a few unopened flower buds to the vase with the flowers, they really complement each other, as does the foliage. 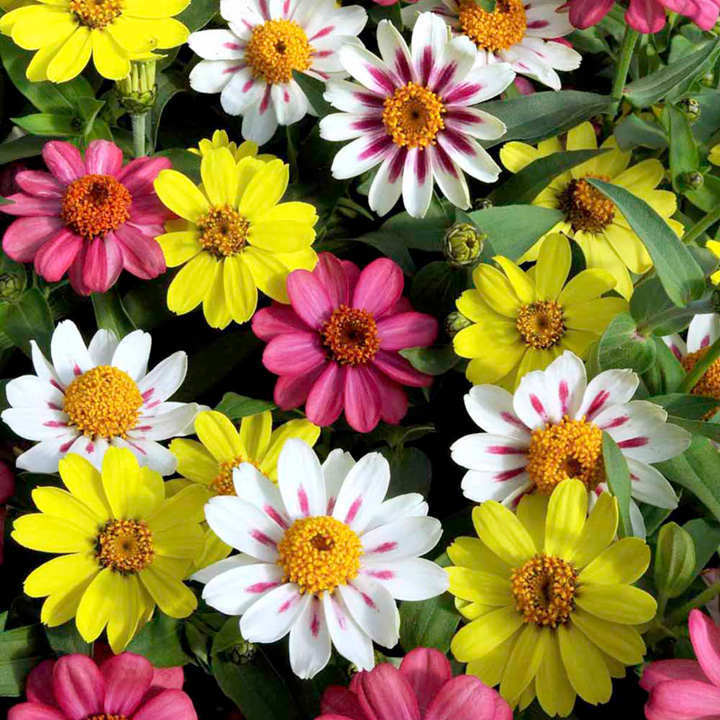 They really are a great cut flower, and this mix will give you several colours to play with at home. Height 30cm (12"). HA/HHA - Hardy annual/Half-hardy annual. Ideal for beds and borders. Suitable for cut flowers. Attractive to bees. Prefers full sun. Zinnias often do better when sown direct outdoors during March-May since they dislike disturbance. Flowers July-September. Sow March-May to flower July-September. Planting distance 23-30cm (9-12”).